For several months now protesters have been rallying in the streets of Chisinau, pressuring the government to resign, but the ruling establishment has remained deaf to the plea of the people. This is largely because the two main decision makers in the country – Vlad Filat and Vlad Plahotniuc, not to be confused with the ceremonial leadership – Timofti, Strelet and Candu, do not see eye to eye. It is no wonder, because the two opposing camps of protesters (PDA and UsaDon) are viewed by many as a proxy war between the two political archenemies – Filat and Plahotniuc. It has long been speculated that Dodon as well as Usatii are in Plahotniuc’s pocket. Similarly, Platform for Dignity and Truth is generally perceived as being, at least in part, Filat’s ploy. Ironically, the two have put themselves in a zero-sum game in which they are forced to cooperate, because no one can profit by unilaterally deviating from the strategy. And the plan is to keep the country afloat, if not quite stable; otherwise they both risk their political survival. Negotiating every little policy step is nerve wreaking due to the complete lack of trust, hence, no credible commitments. That is why it took the two Vlads more than half a year to agree on sacrificing the National Bank Governor Dorin Dragutanu. It also took them months to come up with an utterly meaningless call for a ‘Social Dialog’, meant primarily as a stalling tactic – the oldest trick in the book. Yet, civil society and the two protesting camps are blind to the fact that they too have put themselves in a pickle. There is simply no legal way to trigger early elections. There is even less chance that politicians will even consider early elections. And, even if snap elections were to occur, nothing would change in the way the country is governed. Thus, demanding early elections, although completely legitimate, is a bad strategy, since the broader public will win nothing, other than a brief feeling of gratification, at the cost of economic free fall. Yet, most devastating for the protesters would be if they got invited to partake in the governing processes. Suppose the government resigns and encourages protesters to join the new government structure. It is almost guaranteed that they will refuse and for good reason. On the one hand, the two opposing camps of protestors would find it almost impossible to agree on how exactly to divide whatever portfolios are available. On the other hand, they would still have little to no influence on the overall governing process. The only “positive effect” of such a move would be the diffusion of tension in the society at the cost of discrediting the protest movement. So, why bother? Hence, the surreal dead-end. Instead, what protesters need to focus on is changing the decision-making process. Getting rid of incompetent and/or corrupt incumbents is a good start. Prosecutor General and the head of the Anti-Corruption Center are already the primary targets, but replacing them with upstaging professionals is easier said than done. Not only because protesters will disagree on the virtues of different candidates, but also because we may still end up with another set of straw-men. However, this should not be a discouragement, even if, it goes without saying, that the two Vlads would be happy to exploit any disagreement within the protestors’ movement. Unfortunately, due to asymmetry of power, civil society is not in a position to exploit the disagreements between the two Vlads. 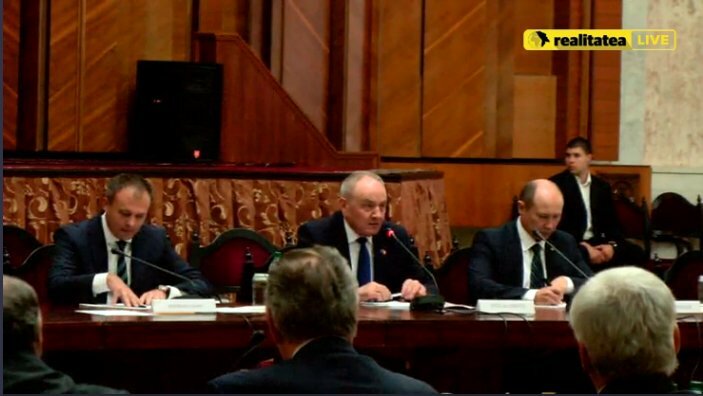 PS1: Curiously, PDA representatives decided to walk out, for no apparent reason, just as Filat began speaking during the Social Dialog Meeting, as if trying to purposefully distance themselves from Filat. 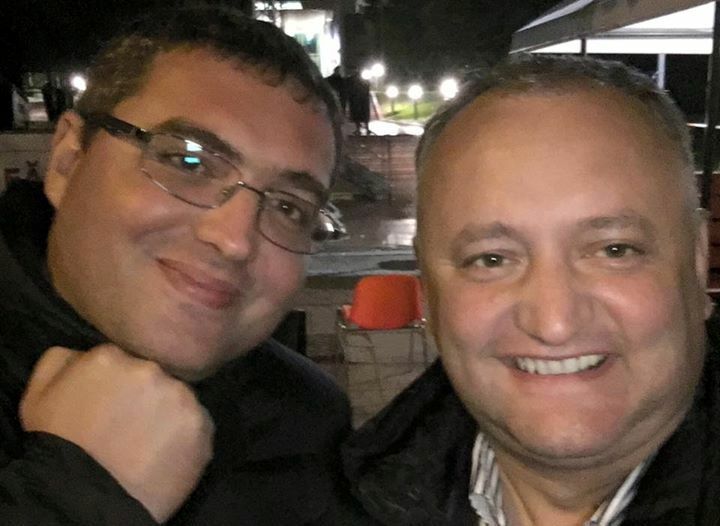 This is either another smokescreen or PDA is losing their trust in Filat, particularly after his brother-in-law was, apparently, forced to take a plea bargain deal this week, making Filat look powerless in front of Plahotniuc. The latter failed to show up at the ‘Social Dialog’ altogether, as if he was not a leading politician and the main target of protesters’ fury. PS2: Out of desperation or ingrained habit, Speaker Candu tried to hijack the news cycle by invoking a possible referendum on the merger with Romania. Knowing that it will hardly be enough, Plahotniuc decides to go all in an have the Prosecutor General start a criminal investigation against Filat. 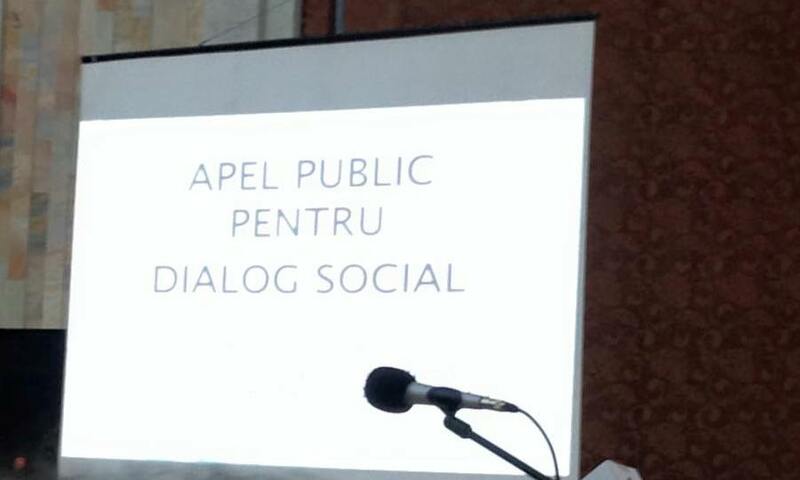 This entry was posted in Alliance for European Integration 3, Platforma DA, Political Protest, Politics in Moldova, State capture and tagged Platforma Demnitate și Adevăr DA, Social Dialog Moldova, Truth and Dignity Platform, Vlad Filat, Vlad Plahotniuc. Bookmark the permalink.